What are the Clinic/kennel hours? 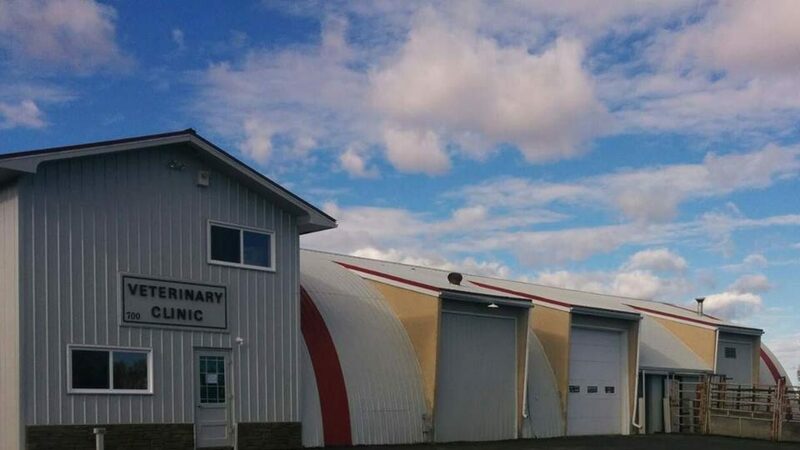 Our veterinary clinic is open Open Tuesday to Saturday 8:30-5:00, and open Sunday and Monday for retail sales and kennel drop-off and pick-up only. Please contact us to make arrangement for pick up of your animal after regular business hours. Do I need to have an appointment or reservation? Yes, patients are seen by appointment and boarders require a reservation. We will do our best to accommodate "walk-ins" but our scheduled appointments are our priority. We accept cash, debit, MasterCard, Visa, and e-transfers. If you require financial assistance, we work with HealthSmart Financial and PetCard. Please contact us if you would like more information on these financing services. Payment is required at the time of service for companion animals, including equine work. If you require financial assistance, we work with HealthSmart Financial and PetCard. Please contact us if you would like more information on these financing services. Generally speaking, spaying or neutering can be done at approximately 6 months of age. Dr. McCracken may recommend waiting until your pet is older based on it's breed. This will be assessed on an individual basis. Your pet is given an exam prior to surgery to help determine whether your pet is healthy enough to undergo the surgical procedure. Current vaccinations are recommended at the time of surgery. Procedures involving sutures require them to be removed 14 days following surgery. For spays and neuters, a dissolvable suture is used and they will fall out on their own. Yes, we do offer boarding services for our clients. We primarily board dogs and cats, but we have been known to have the occasional bird, pot-bellied pig, and other small animals. We have large indoor kennels for your canine friends (some kennels have room for 2 or more animals so your pets can stay together!). Our outdoor pens would rival most backyards, and in the summer there are pools for the dogs to play and keep cool in. During the winter, the dogs are exercised 3 times a day while they are boarding. The cat boarders are housed in a separate area away from the dogs. Blankets and food are provided for our boarders, but you are always welcome to bring your own. We do our very best to ensure that your animals get extra love and attention during their stay with us.